Every child dreams of having their own treehouse, just the idea of having your own little room up in the sky sounds fascinating, but it rarely that easy to get one. 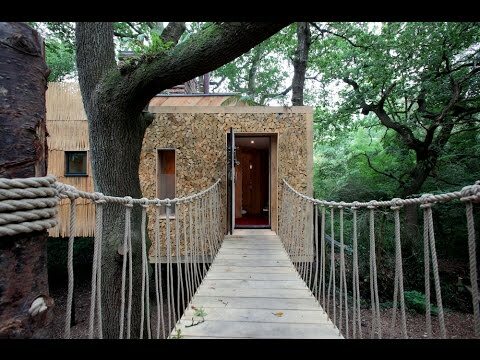 Designer Guy Mallinson from London was inspired by his childhood dreams to create a ‘luxury’ treehouse, costing just over $200,000. He built it surrounded by nature in a forest at West Dorset, UK. Named “The Woodsman’s Treehouse”, it boasts an incredible interior, with spa facilities including open-air showers and hot tubs. He says it’s been a huge success, and it has a very long waiting time for booking.